I’ve had a perpetually complicated relationship with cleansers for a while now. First, I’ll give you a little context. For about 22 years, I used the same drugstore cleanser. It was an all-natural, oil-free foaming cleanser that only costs about $6. It was perfect for my extremely sensitive skin and never broke me out. It was also a family favorite my mom, sister, and I all used. No joke, my mom would send me five of these at a time in my care packages during college. The love was that real. I’m still not sure what was so special about that childhood cleanser of mine. Maybe it was because I’d been using it nearly my whole life so my skin was used to it. Or maybe much of nothing is truly in it, so there’s no way it’d cause a bad reaction. What I am sure about is once I started writing about beauty and testing cleanser after cleanser, my true problems began. This is how my cleanser testing goes: I’ll read raving reviews and thoroughly study a cleanser's label before I let it touch my face—googling just about any ingredient I’m unfamiliar with. (I’ll be honest and say I used to be a sucker for high-end cleansers full of fancy, strong ingredients I can’t pronounce.) Then, I’ll come home all excited to try it out. By day four, unsightly breakouts and blemishes always appear without fail. Disappointed, I ask myself Hello skin, do you even want to be cleansed of the dirt and debris that clogs your pores every day? I learned that my skin doesn’t react well to strong chemicals, so now I stick to plant-based cleansers that are 100% natural. When a new one wins me over, I always worry about my vicious cleanser cycle. And that’s exactly what I thought when I was introduced to Josh Rosebrook’s Complete Moisture Cleanser by Tara Foley, the founder of Follain, which happens to be an all-natural, non-toxic beauty company. But as I would soon learn, this time, I was wrong. “You need something that’s going to nourish your dry skin but is also gentle enough for you,” Foley explained during our deskside meeting. I was instantly sold on Josh Rosebook’s skincare line once Foley told me one of the main ingredients is African black soap—a game-changing nutrient that’s balancing and detoxifying and is also a secret to fading dark spots (something that depresses me every day about my skin). This cleanser is also blended with turmeric, another acne-fighting ingredient that has a good reputation of brightening and lifting the skin. Not to mention its assortment of plant-based essential oils: argan, jojoba, avocado, hempseed, and more. It basically sounded like my dream cleanser in a bottle. The moment I got my hands on it, instead of tossing it on top of the “stuff I want to try but can stay under my desk for now” pile, I took it home the same night—a rare act for a beauty editor. Every night I pump out a quarter-size amount into my hand. It has a light, creamy lather that smells slightly like a garden. It’s not strongly fragranced, though—that scares me and my skin. It feels luxuriously soft once massaged onto the skin. I let it soak into my pores for about a minute, and once I wash it off, my skin feels oddly peaceful, like it just was treated to a mini spa session and is ready for bed now. This cleanser is an essential gem in my routine now, especially because my stress levels have been through the roof. I look forward to lathering this creamy goodness on every night and the best part is I haven’t had a negative reaction. My dry skin feels more moisturized, and my dark spots are fading day by day. 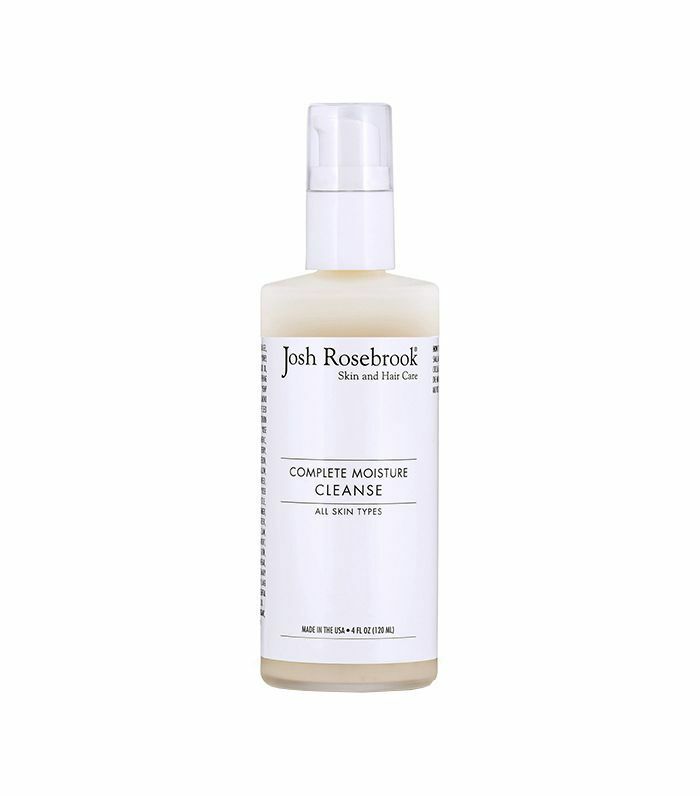 I’ll be keeping this cleanser close by, especially during colder months. Safe to say I’ve met my match. Interested in other organic products? Check out our roundup on the best organic beauty products on the market.